Have you ever considered vision therapy for your child? Some of the issues associated with autism, such as poor motor skills, reading difficulties and lack of eye contact, may actually be caused by a vision problem. Vision therapy offers a simple way to improve your child's performance in school and his or her ability to interact with others. Your child may be able to read a vision chart easily, but might still have a vision problem. Good vision relies on a complex interaction between the eyes and the brain. If the brain can't process images correctly, or if strabismus or another condition affects the eyes' ability to work together, vision suffers. Unfortunately, these vision issues may mean that your child may be unable to perform tasks most of us take for granted, such as catching a ball or making eye contact when speaking to other people. 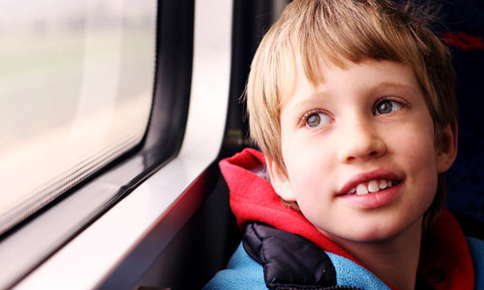 Vision therapy improves the connection between the brain and the eyes and can improve or reduce postures and behaviors associated with autism, including head tilts and awkward gaits. Vision therapy is performed by optometrists who have received additional training in this vision specialty. Vision therapy treatment plans are individually designed to meet patients' specific needs and may include games, exercises, prisms and special lenses. Is Vision Therapy a Good Choice for Your Child? Many of these behaviors can be traced to specific vision processing problems. For example, if your child doesn't make eye contact, you may notice that he or she uses peripheral, or side vision, more than central vision. The problem can occur the eyes don't work together as a team. Eye teaming problems can cause double or blurred vision, fatigue when reading, headaches, eye strain and a short attention span. When your child uses peripheral vision most of the time, he or she only uses the vision in the eye closest to the image. Viewing the world through one eye prevents blurred or double vision. Vision therapy trains the eyes to work together, which can improve your child's ability to make eye contact, focus on tasks, and read and concentrate for longer periods of time without becoming fatigued. Some children who have autism may be helped by wearing ambient lenses, which are special lenses that change the way light is reflected on the retina. In a study published in the winter 1996 issue of Child Psychiatry and Human Development, researchers reported that the lenses corrected head tilts, and improved posture and the ability to catch balls. Ambient lenses or tinted lenses may also help your child feel less overwhelmed by activity around him or her. Vision therapy can also help improve spatial awareness. When your child understands how his or her body relates to the space around him, he or she may be less likely to bump into people or objects and may walk more easily and stop heel or toe walking. Some parents worry that their children won't cooperate during vision therapy because they will find the activities boring or difficult. Activities are geared to your child and designed to be interesting and enjoyable. Games similar to whack a mole help children develop hand-eye coordination, while matching games offer a fun way to improve visual memory. Vision therapy can greatly improve your child's quality of life and performance in school and social settings. Call our office today to schedule an evaluation for your child. Call Us, or Use This Form to Learn More Information About Our Services. We strive to provide comprehensive evaluations for functional problems resulting from TBI, CVA, Concussion, and many neurologic conditions, including Lyme Disease. Also, there are other non-injury causes, such as surgery complications..
Our patient form is available online so it can be completed in the convenience of your own home or office.